When emotions escalate in a story, it means tension. The character has more to lose and readers are glued to the page, frantic to find out what will happen. They are invested, they care, and more than anything else, they want things to turn out well for the hero. But sometimes emotions will escalate too high or go on too long, creating melodrama and impatience. Melodrama is when the emotional responses of the characters are so heightened and overly-dramatic that the reader is yanked out of the story because it feels unrealistic. Melodrama can break the spell, and is something to avoid at all costs. Impatience occurs not so much from an unrealistic level of emotion, but because the escalation hits a ceiling and stays there. After a while, the reader grows frustrated that the tension is not progressing. It feels like the moment has stalled and the emotions within the scene have reached a long, drawn-out plateau. As writers, we want to take readers on an emotional roller coaster, allowing them to experience many different feelings within the scope of the book. One way to avoid building too high and causing melodrama or hitting that flat tension plateau is to apply this idea of emotional scope to each scene. Instead of a steady, predictable rise of emotion, we give readers a jagged climb. Let’s take an example from The Emotion Thesaurus. If we look at the entry for “Confusion” it suggests that if this emotion escalated, it might lead to feeling OVERWHELMED, FRUSTRATED, RESIGNED and INSECURE. Sixteen-year-old Josh is sitting down to write his final exam in Science. The test begins and he opens the booklet. He blinks, pulls back, then brings his nose right up to the paper, baffled. All he sees are physics questions, yet his friend Erik said the teacher told the class to concentrate on studying notes from their chemistry unit. Then it dawns on him. Maybe Erik didn’t mention that he should study physics too because it’s a small part of the test, just the first question or so. After all, Erik knew Josh really needed to kill this exam or he might fail the class. Hope emerges and he flips a page. Then another. Four pages later, he’s still seeing physics questions. Uncertainty lays heavy in his gut, tangoing ominously with the burrito he ate for lunch. Finally on the last page, a single chemistry question appears. Now what? he thinks, completely overwhelmed. He glances over at the next row, where Erik is pounding on the keys of his calculator and then scribbling answers on the page. This surprises Josh, because if they both studied the wrong things, shouldn’t Erik be upset too? His friend looks up and catches Josh’s gaze. Then he smiles and mouths, Payback. That smile is a punch to the gut. Josh remembers how days earlier, he left the class to go to the washroom, and when he returned, Erik was all too quick to fill him in on what the teacher had said about the exam. The same Erik who caught Josh making out with his ex-girlfriend the week before. Realization dawns, and Josh’s face heats up in a flash of anger. He’s been duped! Well okay, maybe he had it coming, but still. Now he turns back to his exam and all he can think is, I am so screwed. A small, simple scene, but look at the range of emotions: Josh is confused by the test, then worried. But then he begins to hope, and the reader thinks it all might turn out. That hope is quickly dashed and soon Josh feels overwhelmed. Then comes surprise at Eric’s lack of worry, then shock of being duped. This escalates to anger. Finally we have resignation over his situation and how his own actions helped cause it. The reader’s emotions are pulled up, then down, then up. No emotion overstays its welcome, we avoid melodrama and the emotions escalate right through to the end of the scene. A range of emotions allows the reader to experience more, and keep things interesting. YOUR TURN: Have you ever used this jagged method of escalating emotions? Did it help to keep your reader guessing? Let me know in the comments! 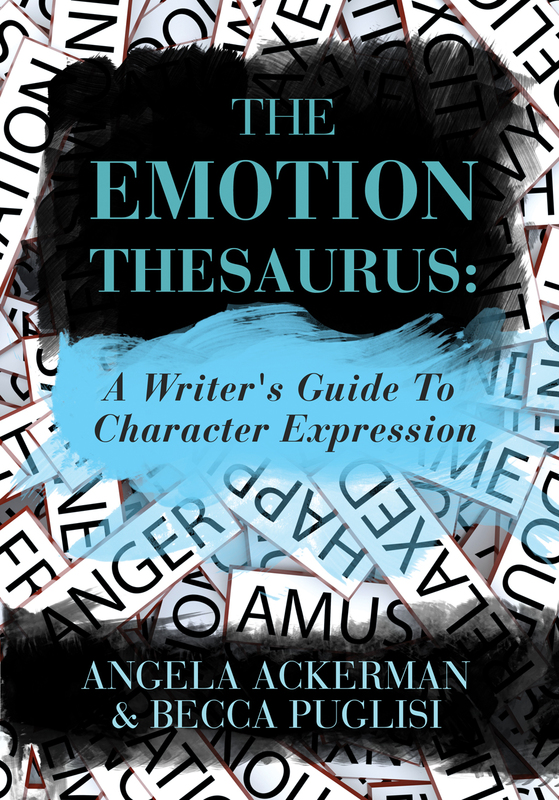 About the Author: Angela Ackerman is one half of The Bookshelf Muse blog duo, and co-author of The Emotion Thesaurus: A Writer’s Guide to Character Expression. Listing the body language, visceral reactions and thoughts associated with seventy-five different emotions, this brainstorming guide is a valuable tool for showing, not telling, emotion. The Emotion Thesaurus is so useful to writers. I know it sells well, but I hope it goes on to sell a million billion copies. Such a great reminder. It can be so hard to create that roller coaster but it makes such a huge difference when it’s there. Melodrama is always spottable. Kanmuri & PK, so glad it helps to see an example. It really does offer a more layered experience to the reader when we add a range of emotions! @Michael & Julie, thank you so much for the kind words about the ET. I am thrilled you both are finding it helpful! Brilliant illustration! I told a dozen people in my writing group this afternoon that they all HAVE to order The Emotion Thesaurus. Wish I’d had had example to read to them! Sharon, thank you for the recommendation–I’m honored! I hope it helps them a ton! Odd–my comment from earlier seems to have gotten lost. Oh well, hotta love gremlins in the system, right? @ Kanmuri & @PK, so glad this post and the example was helpful. It can be hard to write emotion, especially high emotion in high tension scenes. The pace has to be fast, but not too fast, and the jagged climb of a spectrum of emotions will make the reader feel more involved and deepen the experience. Thanks so much for posting! @Michael & Julie, thank you both for the kind words. I am so happy this book is a good tool for you both. Thanks you for the comments! 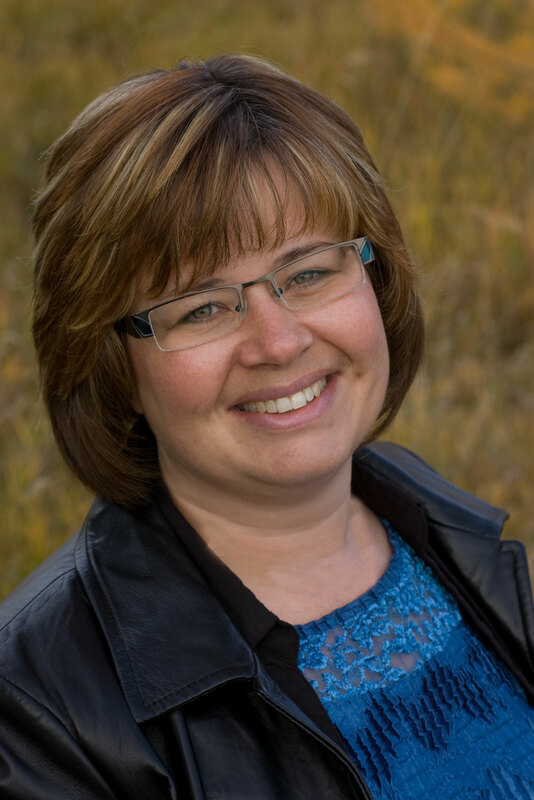 A big thank you to Kobo Life for letting me post! You guys are doing terrific stuff, and I thank you for it! This is the very best tool I have. Thanks a million! Thanks for the tips on making a better emotional roller coaster. So glad to see you here, Angela. Great example of how emotions fluctuate during a scene. Too many times, I think we pick an emotion to focus on in a given scene, but realistically, emotions aren’t static. They change quickly. Thanks for the insight, Angela! Thanks Becca. More emotions as complexity and realism, as long as we are always clearly showing what emotion the character if feeling, and why. I haven’t used it this way that I know of. But I do have your book, and it has been a great help. Thank you! I love how you have combined your lesson theme with such a vivid example. This really helps to bring the message home. I have a copy of your Emotion Thesaurus – now I’m off to use it in my wip. Great article! Thank you. Thank you, Edith! Teens are always great to use in examples, because their emotions are so complex and varied. They are still understanding the ways of the world and how they fit into it. I have two teenagers in my house. I see enough melodrama and impatience everyday without creating more of it in my writing or reading it in someone else’s. The example you included is spot-on. Have you considered writing a book? Oh, that’s right… you already did. I use it ALL THE TIME! Great post, Angela. Thanks. Staci–your comment made my day–thanks so much! GREAT example. I might just go through all my scenes and put in the emotions, now (only to be edited out in final draft)! Think it’s time to read my copy of The Emotion Thesaurus cover to cover. Wait… How should I say “cover to cover” when my copy is an eBook? BTW, “OVERWHELMED, FRUSTRATED, RESIGNED and INSECURE” is how I feel about stalling in the middle of book two of my series — which is yet another reason to read TET cover to cover. It is a good exercise for sure! Not only does it show us what emotions are at work, but whether we’ve shown them strongly enough through body language, actions, thoughts, dialogue and visceral sensations. Terrific example of how to incorporate different emotions in a scene. Happy it helps, Glitterwriter! 🙂 Have a great weekend! Loved this helpful entry. Short, simple and to the point. Thank you! So helpful! Short, simple, sweet , and to the point. I am huge on visuals so thank you for the breakdown. As always, Angela, fab tips!! I haven’t commented on your blog before … and it’s time I did! I write first drafts quickly, and always need to think about the emotions I’ve missed out in edits. Your book and blog are awesome – I don’t know what I’d do without them. Thank you! Good advise to upcoming writers,but educate us more on how main characters create tension in a novel.